BMX stands for Bicycle Motocross. BMX bikes are off-road bicycles for sport. These are used most often by racers and stunt riders. In the early 70s, BMX bikes were designed as tools to get more riders into motocross motorcycles. However, riding these bikes developed into its own sport soon enough. For these bikes, manufacturers had racing and jumping over hills of dirt in mind. If you want a lightweight and dirt-worthy bike that can give you speed, then BMX bikes are definitely for you! What is a BMX bike? What makes them different from other bikes? BMX bikes have rigid frames that are typically made of different types of steel and aluminium. Bikes that are made from steel usually cost less and are of lower quality. High-end BMX bikes are constructed from chromoly or high tensile steel. This is heavier and stronger. An alternative frame that is lighter is aluminium. The upright handlebars on BMX bikes run along the sides. They have crossbars and handlebars that go up higher than other bikes. BMX bikes also have lower and smaller saddles to allow for more ease of movement for the rider. The tires are knobby and vary in size, usually ranging from 16 to 26 inches. The 20-inch are the most popular among racers. As for the gears, they are usually smaller. Older BMX bikes have 44/16 gearings. However, newer models now use gearings such as 36/13 all the way to 22/8. Smaller gears allow for the bike to be lighter in weight. BMX bikes have quite a basic shape and construction that makes them very easy to figure out and maintain. These are also quite sturdy and are built for high performance. The common idea about BMX bikes is that they are race bikes. But apart from racing, there are varying types that serve other purposes. Race bikes are considered the traditional BMX bikes. These are rugged bikes that have knobby tires and lightweight parts. BMX bikes that are used for racing have a larger front sprocket, so that there is a higher gear ratio. This allows the rider to take off into much higher speeds. These may also be called dirt bikes. Jump bikes have quite sturdy frames and wheels. These are designed for taking flight and going through rough terrain. These are used when facing dirt mounds and nature trails. The basic construction of a jump bike may be similar to other types. The main difference is that their tyres are a lot thicker. This is so that the bike will have more traction on loose surfaces such as dirt and gravel. Freestyle bikes are typically not used for racing. These are great for riding on pavement, and for doing different stunts and tricks. The different kinds of freestyle bikes are park, flatland, and street. These are also called vert bikes. These are built for parks and areas that have even surfaces. Due to the smoothness of the surface ridden on, brakes are usually installed in this kind of BMX bike. Moreover, these have simpler frames that get rid of all the unnecessary weight. Similar to park bikes, flatland BMX bikes are also used on flat surfaces. The difference being that these are primarily used for performing all sorts of tricks and moves. The frame of this type of bike is built using different geometrical principles. Flatland BMX bikes are made with precision, balance, and smooth movement in mind. Street bikes are a lot heavier and stronger than more traditional styles of BMX bikes. They are built this way because street bikes experience a lot more wear against hard surfaces. These have metal pegs on the axles so that riders are able to grind against rails or street curbs. This type usually does not have brakes so that the brake cable is not in the way when performing certain movements. BMX bikes are certainly a must-have. Whether you want to race, do tricks, or just ride to school, you can find one that suits your needs. 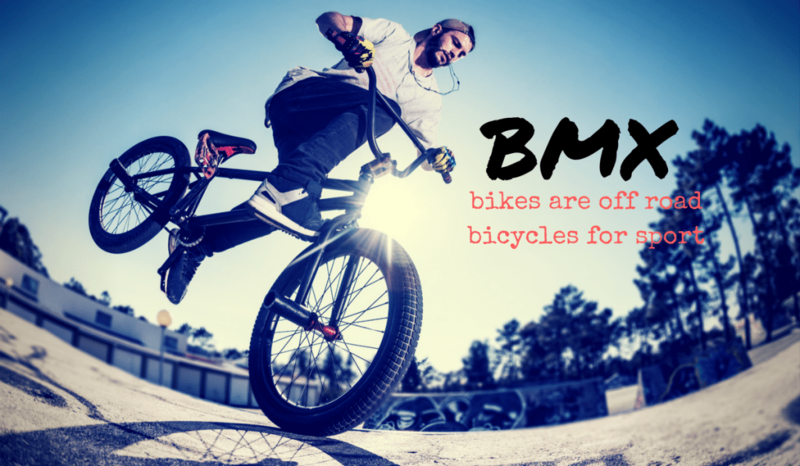 Browse through our bikes here at Stead Cycles to get your own high-quality BMX bike!